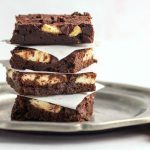 Keto Chocolate Chip Cheesecake brownies are low carb and gluten free, but so very decadent and fudgy with an insanely yummy layer of cream cheese and chocolate chips! 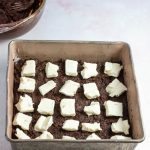 I made these Keto Chocolate Chip Cheesecake Brownies for my birthday celebration and they were a big hit with my family and friends even though none of them follow a low carb or keto diet. 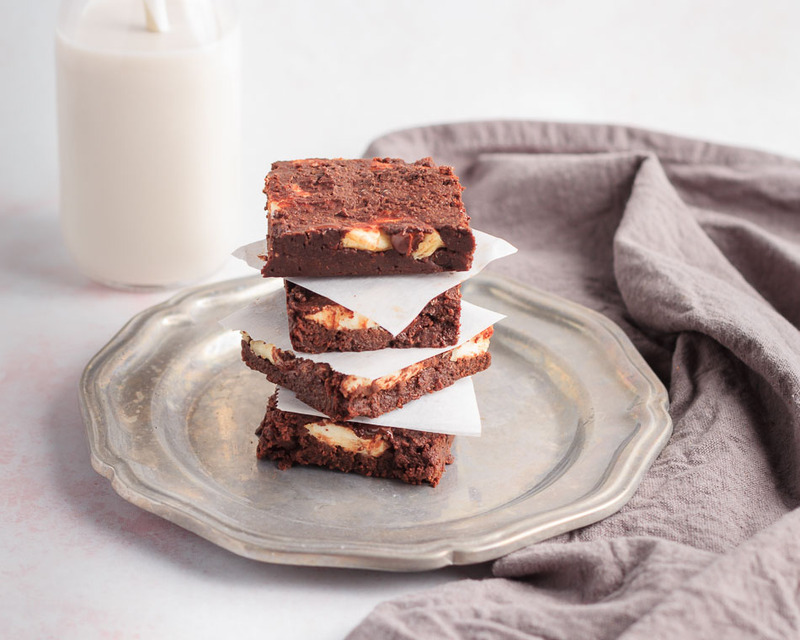 Everyone especially loved the creamy chunks of cream cheese and melted chocolate chips in these simply to die for brownies. These brownies were definitely worthy of my 52nd birthday and didn’t ruin my carb count for the day. In a large saucepan over medium-low heat, melted butter. 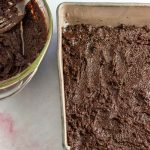 Add Swerve confectioners sweetener, cocoa powder, and salt. Whisk in until fully mixed and creamy. Remove from heat and let cool slightly. 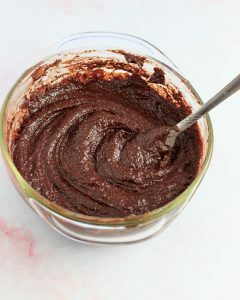 In a large mixing bowl combine the warm chocolate mixture and the almond flour. Mix together thoroughly. Add eggs to the batter, one at a time, mixing in thoroughly. 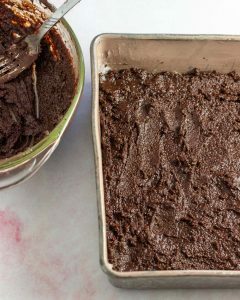 Spread half of the brownie batter in the prepared pan. 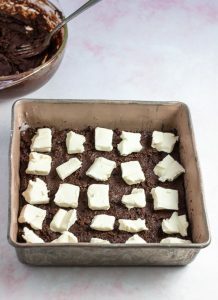 Arrange cream cheese cubes on top of the brownie layer. 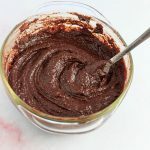 Spread the remaining half of brownie batter over the top of cream cheese (it’s okay if not all the cream cheese is covered and peaks through). Sprinkle with the chocolate chips over the top. 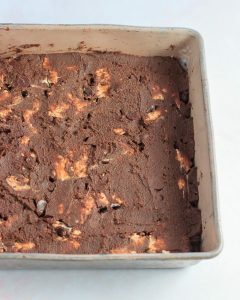 Bake at 350 ℉ (175 ℃) for 18 to 23 minutes (brownies may look underdone in the center but will set upon cooling). 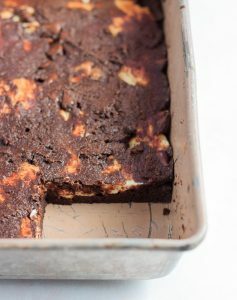 Remove from oven and let cool until brownies are firmer. 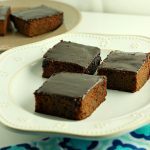 Slice into 16 squares and serve. Keep leftover portions covered and refrigerated. 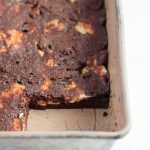 Yield:16 brownies, Serving Size: 1 brownie, Net Carbs Per Serving: 4g. 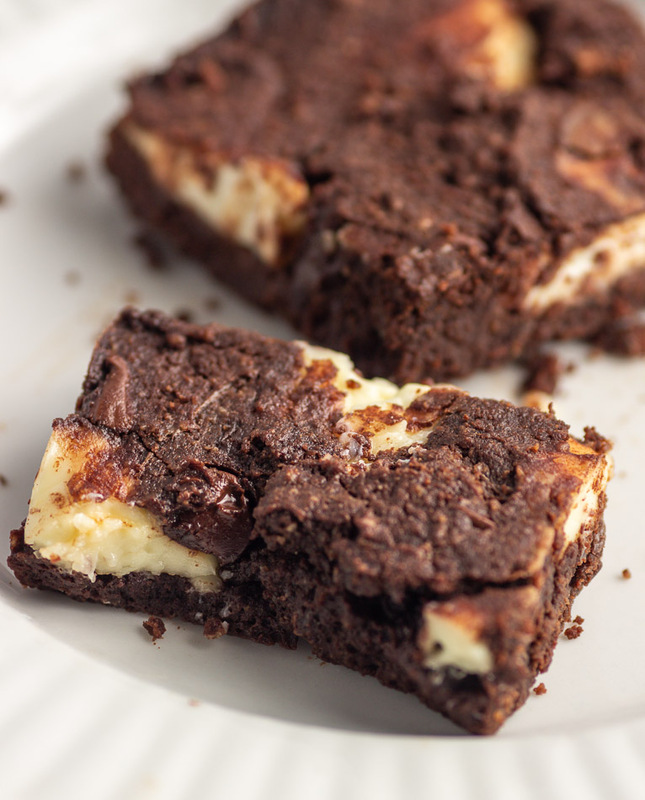 Oh my goodness, cheesecake and brownies in the same pan, these are positively decadent! 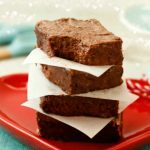 I do love a good brownie! 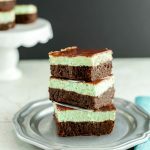 These look so good with the creamy chunks of cream cheese and melted chocolate chips! Yum! 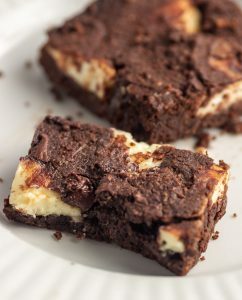 I can never pass up a brownie especially when cream cheese is involved! The cheesecake part in the middle is just a revolutionary idea. Love it big time. 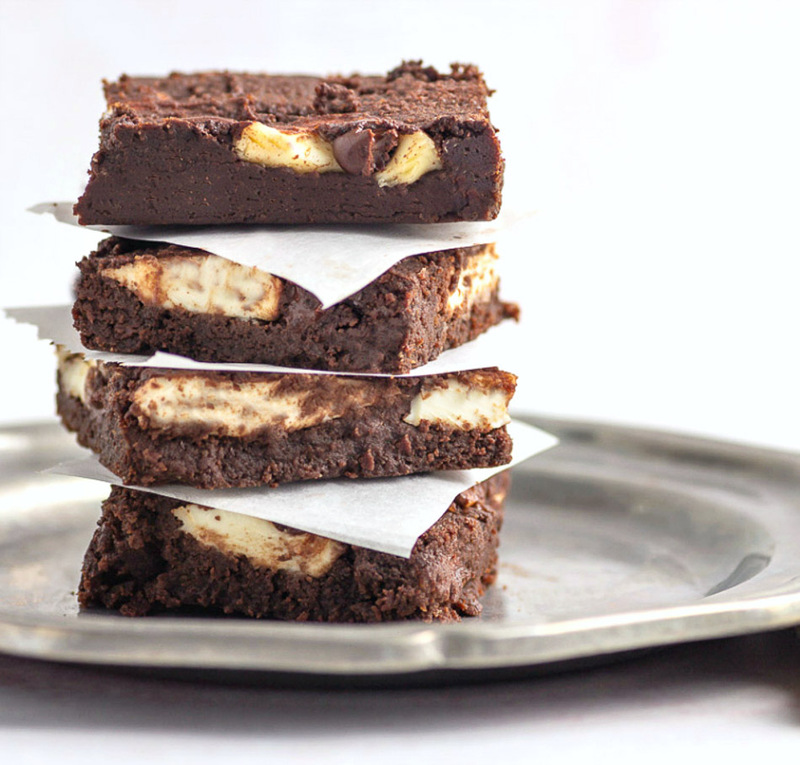 Love these brownies and all the ingredients in it. So simple and worth every bite! Ohhhh heaven on earth right here! I want to smash my face into these for sure! Such simple, nourishing ingredients too! This is a lot easier than I imagined! 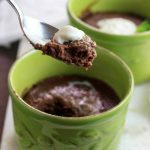 I’m doing Keto right now and these were ABSOLUTELY delicious!! This looks so rich and decadent! 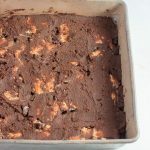 I love how you put two of my favorite desserts together with this recipe.